MOSCOW, November 6. /TASS/. 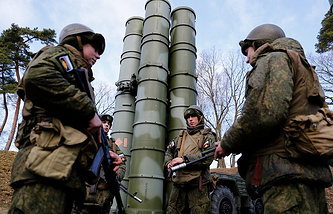 Units for planning the use of long-range precision weapons and preparing flight assignments for cruise missiles have been set up in the Russian Army, the Defense Ministry’s newspaper Krasnaya Zvezda reported on Tuesday. As a result, Russia has created the groupings of precision weapon carriers capable of using missiles against targets at a range of up to 4,000 km, the paper reported. 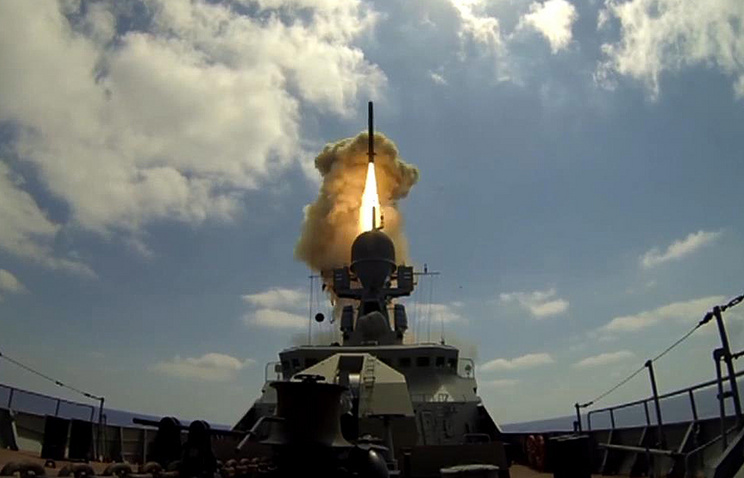 "Now the Armed Forces have set up command and control bodies and special units tasked with planning the use of long-range precision weapons and preparing flight assignments for cruise missiles of all types of their basing," Krasnaya Zvezda said. "As a result, full-fledged groupings of precision weapon carriers capable of employing missiles against targets at a range of up to 4,000 km have been established," the paper said. Warships armed with Kalibr cruise missiles make up the basis of these groupings in strategically important areas of the Baltic, Barents, Black and Mediterranean Seas. Also, the defense industry continues the serial deliveries of Iskander-M tactical ballistic missiles, submarines and surface ships armed with Kalibr cruise missiles, Krasnaya Zvezda reported. Over the past six years, Russia has made a breakthrough in providing its Armed Forces with long-range precision weapons, the paper said. "As a result, the number of land-, sea-and air-based carriers has risen by more than 12 times and precision cruise missiles by over 30 times," Krasnaya Zvezda writes. Russian long-range precision weapon systems have shown their high efficiency and reliability in combat operations in Syria. Russia is already creating unique next-generation precision weapons, the paper says in its article. 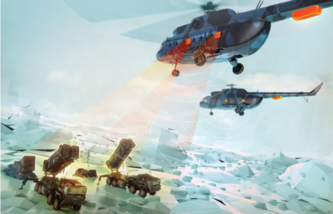 "They include the Kinzhal airborne precision complex with a hypersonic missile designated to hit ground and sea targets, the Sarmat intercontinental missile system capable of attacking targets both through the North and South Poles and the Avangard complex armed with a boost glide vehicle," Krasnaya Zvezda said. Russia is also developing a nuclear-powered cruise missile with an unlimited range and an unpredictable flight trajectory and the Poseidon nuclear-armed unmanned underwater vehicle.